There’s a distinct possibility that Jeremy Peace’s West Bromwich Albion will be the only West Midlands side in the Premier League next season. Which is good news for the former stockbroker who joined the board of the Baggies as a non-executive director in 2000. He now has an 80 per cent stake and is chairman of the club. In 2014, West Brom’s parent company declared profits just short of £15 million on a turnover of £86.7 million. These figures backed up an asking price of £150 million, although a sale deal fell through last July after a potential buyer was unable to fulfil the terms of sale. Aged 59, Jeremy Peace is certainly true to his roots. He was born and bred in West Bromwich and later attended Shrewsbury School. He began his career in accountancy before moving into stock-broking and investment banking. Up till 1991 he was director and major shareholder of Morlands Securities PLC, and then Sangers Photographics which later become the Quadrant Group. He has investments in a range of other PLCs. He became chairman of West Brom in 2002, having been a lifelong Baggies supporter. He took over from Paul Thompson. The company went private in 2005, with Jeremy Peace becoming the major shareholder. In 2013 he transferred his then 59.9 per cent shareholding in West Bromwich Albion Group Ltd into a new company – West Bromwich Albion Holdings Ltd. 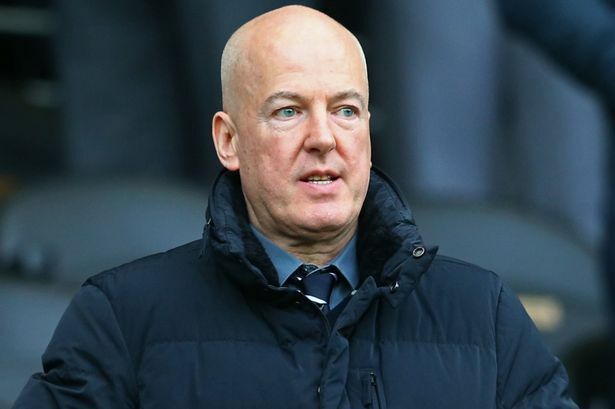 He has a reputation as a hands-on owner who can take a hard line, such as when he sacked head coach Steve Clarke who took Albion to eighth place in 2013. He hasn’t ruled out selling the club but said he would only consider buyers who he felt could take the club forward. In his tenure as chairman Albion has become a stable Premiership club with a flourishing academy and good ground facilities.